Whistles are one of the best bang-for-the-buck items you can have with you in an emergency or survival situation. Whistles provide a very loud sound that require very little blowing effort. 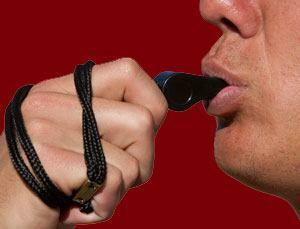 The sound of a whistle will attract rescue personal to your location. Some whistles have peas inside which provides a distinct trill sound. This distinct sound will not be confused with howling winds or other natural sounds that occur in hurricanes, storms, or when tornados are present.